Lurex sweater dress features double boat neckline with short cuffed sleeves. 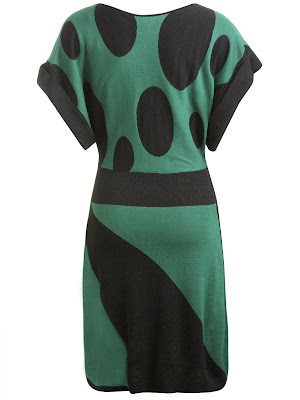 Polka dot and asymmetrical stripe pattern detail throughout. Unlined.